Already Got Stage 1 of Your ADI Qualification? Being an Approved Driving Instructor is a Big Deal! Everyone loves a good driving instructor. The best instructor's, the one's who puts their pupils at ease and that rarely needs to advertise because their pupils spread the word for them. It's a great career for calm, practical people who know how to get the best out of others. So what about you? Scheduling Work Around Your Life, Not The Other Way Round! And living a rich life that only comes from massive job satisfaction! If the answer is yes...then becoming a driving instructor may just be what you've been looking for. It's all very exciting and liberating. So let NUI Driving Instructor Training be your guide through all Stages of the ADI Qualification process and help you change your life for the better. If you opt to open your own driving school business, you’ll enjoy all the benefits that come with being your own boss. You’ll be solely in charge of the way your business operates, of your business goals and values, and of your reputation. You can set your own rates depending upon what sort of business you want to be (low cost or ‘exclusive’, for example), and you can decide upon your own marketing strategies to best target local demographics. Work in the vehicles you love best, choose your working radius, and decide when - or even if - you want to expand and grow your business. When you become a driving instructor, the days of ‘9-5’ are well and truly gone. In fact, you may find that your busiest times are early morning before many people begin work, or after the local schools and colleges finish up for the day. Choosing your own working hours can be ideal if you have other commitments - if you’re taking a training course such as c-ADI training, for example, of if you have a family and want to be available for the school run or take time off for important events such as the school sports day. Work when you want, take holidays when you want - what could be better? In many professions, clients can be a source of discontent, and it’s no different for driving instructors. Every driving instructor, at some point in their career, will team up with a learner that just isn’t a good fit for them. Whether it’s that you can’t meet their expectations (they imagine they will pass their test much earlier than you do, for example), or they exhibit behaviours that suggest they’re not particularly interested in learning to drive, you’re sure to meet them. The good news for driving instructors is that you’re not obliged to work with anyone - you get to choose who you work with! 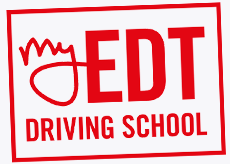 If you’re passionate about driving, and about teaching a new generation of learners, then becoming a driving instructor can bring huge job satisfaction. A study by the University of Kent actually found that those in a teaching role report being the least bored out of all professions, with 86 percent of those questioned appreciating the interaction with different sorts of people, 81 percent saying the thrill is in the challenge of the role, 81 loving the fact that no two days are the same, and 64 percent happy that they get to express their creativity through their job. Don’t be stuck in a job you don’t like! Who Should Consider a Driving Instructor Career? For some, driving is seen as a chore - something that needs to be done to take the kids to school or go and get groceries. For others, driving is a true passion, and there’s nothing greater than being out on the open road. If you love driving, then a driving instructor career could be perfect for you. You’ll not only get to spend your days driving around - and getting paid for it! - but you’ll also have a unique opportunity to teach new drivers everything you know about getting behind the wheel. Driving instructor is a very rewarding career, but becoming an approved ADI isn’t always easy. 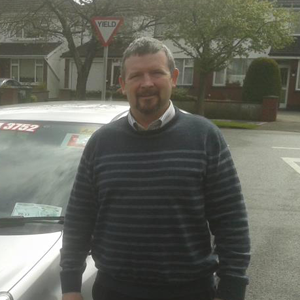 Completing your driving instructor training requirements can be a very gruelling process, with a three part test that determines whether you have the skill and knowledge to undertake driver training in Ireland. The test has to be tough - after all, you’ll be responsible for keeping Ireland’s roads safe. The good news is that if you’re committed and dedicated, there’s no reason you shouldn’t pass the test! Driving instructors will find that their roles and responsibilities change depending on variations in driving styles and behaviours and amendments to the Rules of the Road by the Road Safety Authority. Instructors should be open to change and be able to adapt to changing laws. The last big changes were introduced in 2010 when the 12 hours initial basic training was introduced, but further changes are expected to be introduced in line with changing driving trends and environments. Can driving instructors really make a difference in terms of road safety? Absolutely! Believe it or not, driving tuition in Ireland was unregulated before 2006, and figures demonstrate how approved driving instructors have been instrumental in minimising risk on the roads. At the start of the millennium, collisions in Ireland rose consistently, peaking at 396 road deaths in 2005. Following the introduction of the ADI register in 2006, road deaths fell by more than 100 in a period of just 3 years. If you enjoy seeing your hard work pay off, a driving instructor career could be right for you. While pass rates vary between test centres - between 42 percent and 70 percent based on statistics published by the Road Safety Authority (RSA), the average pass rate for Ireland is 53 percent, which means that, more times than not, you’ll see your hard-working learners pass their theory and practical driving tests with flying colours. A driving instructor career can be very rewarding. Driving instructor jobs are very different to your standard ‘9-5’. There’s very little routine for driving instructors - each day will be different than the one before and last minute bookings, changes, and cancellations mean that you can never predict how your day will turn out. This type of unpredictable working pattern isn’t for everyone, but for those that love flexibility and spontaneity, and find the monotony of the office boring, a driving instructor career can bring plenty of job satisfaction. How Much can a Driving Instructor Make? Figures from the National Careers Service in the UK reports that new driving instructors can expect to receive between £18,000 and £20,000 in their first year, which equates to around €25,000 to €28,000. Those with greater driving instructor qualifications, such as being certified to provide on-the-road tuition for the more unusual vehicle categories such as A (motorcycles) and CE (vehicles with trailers) can expect to earn more on average, up to around €42,000. In order to successfully run a driving school business, you will need to create a comprehensive business plan that not only sets out a range of objectives, but also clearly outlines the steps you will take to meet these goals. You will often be required to provide a solid business plan if you are intending to approach investors for business funding, so having one in place is essential. The good news is that creating a business plan is relatively straightforward and can actually help you to take the necessary measures needed to operate a successful business by seeing your objectives outlined in black and white. You’ve done everything you’re supposed to - you’ve read driving instructor training reviews online, you’ve researched the different courses available to you, and you’ve found a training course that looks like it’s just what you need to get you through the three part ADI test - but what happens if it turns out that this course isn’t a good fit for you? How can you make sure you get the best training? Build Your Own or Join Franchise/Partnership? Run Your Own Business, or Join an Established Driving School? What’s Best? When you pass your ADI examination you’ll have a choice of driving instructor jobs available to you. While some opt for further training to become c-ADI trainers, others choose to open their own driving school, or join an established driving school in Ireland and operate a franchise locally. So what’s the best option for a newly qualified ADI? Business owner or franchisee? If you’re interested in becoming an approved driving instructor in Ireland, you may be wondering how much it will cost to meet the driving instructor training requirements and gain your qualifications. The truth is that there is no set fee for becoming a driving instructor, and the amount you pay will be dependent upon a number of factors, including the driving instructor training school you choose and your preferred preparation methods and techniques for the three part examination. What’s the Driving Instructor Market Like? If you’re taking the ADI examination with the hopes of opening your own driving school business or getting a driving instructor job with a major driving school, you may be wondering what the market is like, and whether or not it’s going to be easy to secure employment and make a name for yourself as a skilled ADI in your area. While driving tuition is currently a very competitive business - and will continue to be highly competitive - the good news is that it seems to be getting a little easier for newly qualified ADIs to get their dream job in the industry, particularly in Ireland.